Rated 5 out of 5 by Jadelynn74 from Weird fish heads but a wow experience I've never been drawn into an adventure as smoothly and quickly as in this game. There are lots of great looking cutscenes and before you know it, you can't stop playing. The theme is a bit wack though. The fish heads almost make me want to give it a four star rating instead of five. But the up-tempo story telling and the quick changing of sceneries, together with some nice puzzles, greatly tied into the game are just to good to deny it a maximum rating. Rated 5 out of 5 by Lula_Belle from The sequel is as good as the first! I had a great time playing the first game in this series on my kindle, so when I saw this game I had to have it. I played this one on my PC, and the graphics and sound are awesome. I loved the storyline and really got into the twists and turns. 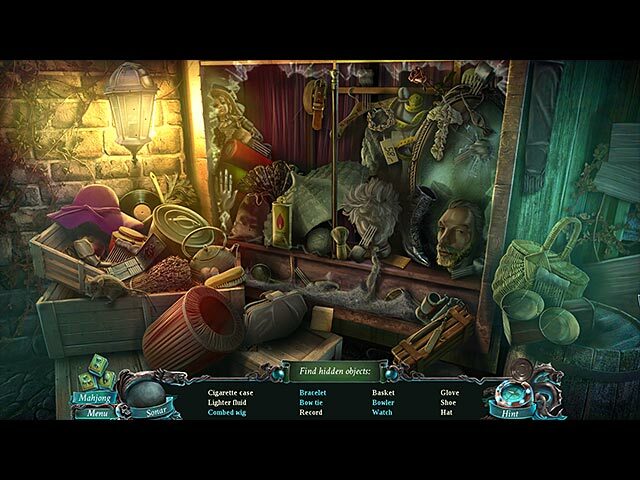 Hidden object scenes are challenging without wanting to bang your head against a wall and having to put on your magnifying glasses, and the mini games are varied and fun. Rated 5 out of 5 by jeftoqna from Great Game I really enjoyed playing this game. At some points I felt like I was really part of the game. The storyline is excellent and the game is very well thought of. I'll be looking for the next quality game from this series. Rated 5 out of 5 by catdroid from A Beautiful imaginative game I loved this game. It is so beautiful. You are trying to save a siren mermaid. Long playing time Many locations Pretty music An interactive map The skip button takes awhile to charge Good storyline with lots of scenes and lots to do. I will play definitely this game again !! 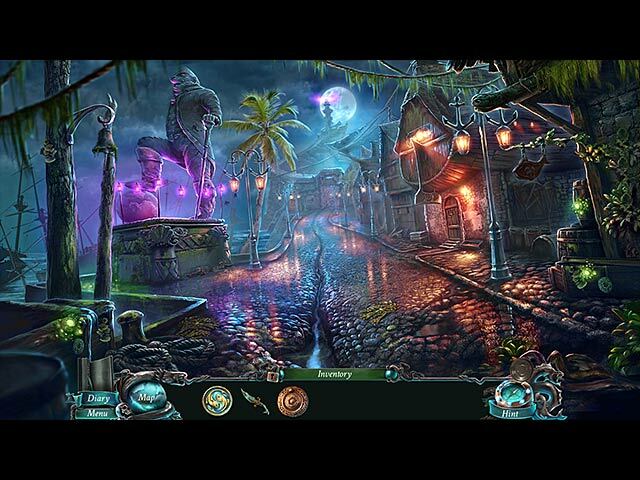 Rated 5 out of 5 by htothek from Great Adventure Hidden Object Game A truly enjoyable game with a terrific story line which makes you wanting to save the 'girl' and defeat the 'baddie' a real mission. Great use of graphics and appropriately placed music to add to the atmosphere. 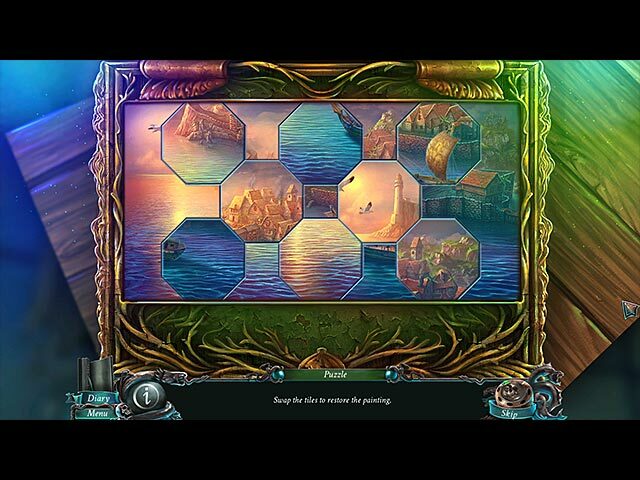 Some familiar puzzles as well as some novel ones and a good balance between them and hidden object scenes. Looking forward to the next in the series....hope there is one! Rated 5 out of 5 by HereComesTheSun from Great story, once again This was a great follow-up to The Cursed Heart game. Once again, the game was not terribly challenging but the story was terrific. I will definitely play any other games that are part of this series. Rated 5 out of 5 by slywetfish from A really good game! Fantastic, really enjoyed this one, all the elements of good drama and plenty of sap! Only complaint is that the safe cracking puzzle was incredibly obscure and not explained very well. 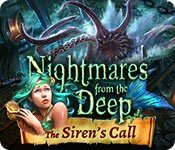 Rated 5 out of 5 by denniann2 from another terrific game in the series you are brought in to fight davy jones and free the island from a curse that is holding them captive. lots of scenes and the graphics are good. played casual, no sound. skip/hint charge fairly fast. seldom had to wait when used. mini games gave me some trouble, but that is me. Rated 5 out of 5 by FloridaGirl7264 from Intense! This game is so intense! It has been keeping me playing to find out what would happen next. The story is awesome! Put the sound on and shut off the lights for maximum creepiness! Rated 5 out of 5 by phooofeee from VERY NICE GAME! Wonderful game--still wouldn't purchase the full version since it's ANOTHER game going from one location to another in order to find needed items---I just don't find playing these more than once any fun--there's no reward in playing them over and over. But well designed and alot of folks will love it. Rated 5 out of 5 by yifati from loved this game!! kept me hooked up for hours, interesting and fun!! not to hard but not too easy either.. didn't play the previous game, yet it didn't make this game any less fun. thank you! Rated 5 out of 5 by qvo_vantis from Liked this one better than the first I really enjoyed playing this game. I loved the story line. Great graphics and sound. Little bit easy for me but full of fun. It kept me going. Rated 5 out of 5 by Jem_Jerrica_Guy from up there with "Song of the Phoenix" Story has lots of details and more twists and turns than your average adventure. A perfect balance of good and evil that continues the prequel and opens up hope for a third chapter. Rated 5 out of 5 by zandarn from Exciting Opening! This has a great start with an exciting opening video that you interact with. I truly enjoyed it and wish more games were like that - and that more of this game was like it. After that it just became another decent game. The minigames were mostly very easy and the hogs fortunately offered mah jong alternative (which also gets boring after a while). Still, I think it was a very good game. Rated 5 out of 5 by mcshar44 from Awesome Would have played it straight thru if my husband didn't get hungry (lol) Engaging,moderate difficulty and an interesting storyline. Rated 5 out of 5 by ajibiji from new trend of puzzles! I loved playing this game and get addicted.. Puzzle combinations are bright! Fine graphics and better game play.. Nice as a sequel but more promising! Sounds and musics too are hooking.. Game play makes it worth buy for a nice leisure time.. Rated 5 out of 5 by funnycandy from Bravo! One of the best The sea stories always have a special appeal to me and this one is not an exception. Sometimes scary, sometimes humorous it kept me playing for around 5.5 hours. More such games, please. Rated 5 out of 5 by lpnatmu from Excellent! Beautiful graphics, mediu hard puzzles. Always love having the map and I didn't need to use guide for majority of game. Rated 5 out of 5 by Anigisdi from LOVED IT, EXCITING, GORGEOUS, HAS EVERYTHING BASED ON COMPLETED GAME ON EXPERT LEVEL Ok, I admit it, when I first started this game and saw it was about people turning to fish due to a curse, I had my doubts......but boy was I wrong. This game is as good as everyone else says it is. The opening scene is so realistic, I thought I could feel the rocking of the ship. I became so engrossed in the story that my dog had to bring me his bowl to remind me it was dinner time. No kidding!!! Rather than write a book, I will make a list for you: What's Great: Graphics are crisp clear and gorgeous Many different and interesting scenes You really feel in danger and part of the chaos taking place You get to work with another character (sometimes physically helping him) Things happen to surprise you so you don't get bored with the story There are mini games within the HOS---way cool Jump map so you don't waste your time or sneakers The music is sooo good and creates so much tension during the action that your heart will speed up All of the puzzles give visual clues to their solutions if you're observant The game is fair, no dirty tricks You have to earn information about the story by collecting coins which makes you work hard to hear the next chapter....fun! The story is clearly explained so you're never confused as to what to do next or what is happening Clearly stated objectives Some games I've never seen before but all doable The heroine, you, is very resourceful...love that! The story ties up beautifully at the end leaving you feel satisfied What's a little "bad" A few English translation problems but they won't confuse you or affect your game play. I'm not crazy about fish-faced humans but hey, I'm being picky This is one game I would recommend you get right away. If you're like me, you'll wish it could go on and on......have fun!!! Rated 5 out of 5 by katnap123 from I liked it better than the first! I had a lot of fun playing this one, as well as the first Nightmares. The story is put together extremely well and started pulling me in from the first cut scene. The graphics were colorful and good enough to support the story line. The animations were great. The puzzles and HOS were interesting and well done --not too difficult. I rarely say this, but I'm wishing now that I had gotten the CE instead, not because the SE was lacking in any way, but because this game is that good. Rated 5 out of 5 by catbag8717 from Well Worth The Wait For The SE! Just As Good As The Original! Well, Artifex, you had some BIG shoes to fill when you made a sequel to Nightmares From The Deep: The Cursed Heart, but… I think you did it! The adventure I have just played, although shorter than The Cursed Heart, was still as captivating, tragic and fun as the first. The story starts off with the return of our favourite curator, Ms. Black. It has been a year after her last battle, but she is in for a whole new one! The story was very exciting, and just as good. It ended conclusively and brilliantly, just like the last one. What I loved about the story was the twists it took. I was kept guessing right until the end. As with the last game, there was a backstory told by collecting 12 tokens and placing them on a chest. I loved this story. I my opinion, it was arguably the best part. Here’s a tip- save all your tokens until the end so you can hear the entire story at once. I did, and it’s much better this way. One final note, I believe that the developers improved the story by allowing some of the same characters to return. I found it much easier to relate to the story this way. The big improvement of this game from the last one is the gameplay. There is now an interactive map, just like the reviewers requested. This map is very helpful too and saves a lot of time on backtracking. The hint is very helpful, telling you what to do and where to do it. What I loved was the HOS. There were 3 types: The classic junkpile, silhouette objects and fragmented object scenes. All 3 were great and all had their own level of difficulty. There were quite a number of HOS in the game, meaning HOS lovers won’t be disappointed. As with the last game, there is also the option of playing Mahjong as an alternative, which was both fun and challenging. Overall, the HOS part of the gameplay was done brilliantly. The puzzles were a mixed bag- some I liked, others I didn’t. I did make some effort to solve the puzzles, but in the end, I had to skip most of them. However, I did enjoy attempting them. Credit to Artifex for making them enjoyable, if not able to be completed. The difficulty? Well, it shouldn’t be too hard. I found it rather easy to navigate, but I did get stuck on one puzzle in the silhouette scene right at the beginning, which almost caused me to quit the game, but all in all I found the game to be of medium difficult. Not easy, but not hard either. But whatever the difficulty, I cannot deny that I had a LOT of fun with the game! The graphics are brilliant- again. The artwork and character design is so great and detailed. I loved how much effort Artifex put in to this. It’s far much more than I would! ;) The voice-overs were pretty standard. They weren’t fascinating, but they weren’t awful either. It takes something truly special to make me happy with voice-overs, and this wasn’t it. Other than that, everything was perfect with this game. FEATURES - 3 modes of difficulty: Casual, Advanced, and Hard. Only differences are sparkles and hint recharge. I played Casual. - Hint and Skip- both recharge fast on Casual. It took around 30 seconds for the hint and 45 seconds for the skip. - Diary to keep track of events. Diary also keeps track of objectives. - Map. The map is interactive and very helpful, one of the biggest improvements in this game. - 12 collectible fish tokens, although they are essential to the game, so they aren’t really collectibles. So, overall, I was extremely impressed with this game. I bought it as soon as it came out and I was not disappointed. You are in store for a wonderful adventure, and I 100% recommend this game as an SE or CE. The game took me about 3 hours on Casual mode, although I am a fast player and use a lot of skips on puzzles. I estimate it would take the average player, who attempts and solves puzzles, 3.5-4 hours on Casual. I know you’ll love this game, no matter what version you pick! Rated 5 out of 5 by JustTheFacts from Spectacular Maritime Adventure! BASED ON CE GAME FIRST IMPRESSIONS The intro to this game is a blast. In very well done cut scenes, we sail across seemingly placid seas, then spy an island where all is clearly not right, watch helpless as an ancient sea monster churns the water around us, tossing our ship as if a toy and casting us... into our office in the museum! Well, at least we survived! Our introduction to the backstory and the outlines of this one is very well handled. It is a combination of cut scenes and simple gameplay to get us up to speed before launching into the game proper. One thing I love in games is cameo appearances of other games by the developer, and this one has a lot. SIGHTS & SOUNDS The graphics in this one are great – apparently hand drawn, full brush strokes in oil. Colours are marvellous, but a lot of the scenes are dark. The animation, particularly of the characters, is brilliant. I really like the way the lead character’s ‘fish curse’ creeps up on him almost unnoticeably as we go along. The music, by comparison, is a disappointment, there is just nothing unique or interesting about it, and it gets repetitive very quickly. Voiceovers are very well done, and most of the time the lip sync is excellent. WHAT’S HAPPENING This game leads off from the end of the last one. We are a naval museum curator just returned from a battle with the sea-devil Davy Jones, making the most of the astonishing adventure. An unexpected encounter leads to a sore head, and our arrival on the unhappy shore of the island Kingsmouth. But the people of Kingsmouth are strangely alien, revealing blue veins and silver scales. Still, our mission is soon apparent: we must save the mermaid siren (and she’s not even a relative! ), defeat the Mayor and lift Davy Jones’ curse. MAKING PROGRESS This game seems more adventure (though easy) than HO or Puzzle game. There are a lot of tasks to perform, story to keep track of, and obstacles to surmount. The many puzzles have a bent towards the pictorial (which I really like, we are, after all, fans of the most popular picture puzzles – HOs), with ones like an animated jigsaw, find the missing items and placing them on the picture board and so forth. This is in addition to the HO puzzles, which include interactive lists and ‘find and use’ silhouettes. These scenes are visited twice, and there is the option to play mah-jong as an alternative to the list HOs. Getting around is easy, with an interactive jump map and directional hint. The journal tracks the story and gives an objectives list. FAMOUS LAST WORDS I played the CE version of this game, and I am really happy that I bought that one, because it has many achievements and interesting collectibles. But it is not at all necessary for enjoying this game. The story holds together well, the game play is fun and varied, and the production values are top notch. Rated 5 out of 5 by pennmom36 from RELEASE THE KRAKEN! Well our museum curator is in trouble again! A small village in the Caribbean has been under a Davy Jones curse and it's people have turned into fish like creatures. As the pirate era was nearing a close, a group of pirates turned in their pirating ways and took up fishing to earn an honest living. All was well until the booty ran dry and the fishermen became bored. Mayor Murray kidnapped a Siren Mermaid to use her powers at first for simple things such as having fish swim into the nets but greed engulfed him and made him evil. Now Kingsmouth villagers have turned into fish people and work for the Mayor as praetorians, but one of them have fallen in love with Calliope the Siren and has asked for your help in saving the mermaid and restoring the cursed citizens! Hard to believe they could top the first Nightmares, but this game is really good. I do however like the CE because of the morphs and tons of different collectables such as golden octopi. The HOS are a mixture of interactive list finds and progressive finds where you find an item that matches the shadow box silhouette and place that item into the scene such as a diamond is found and placed on a tiara which makes the statue open her mouth to expose clock hands which you in turn use the clock hands on the clock to reveal next item. The mini games are well done and some of them are a series of puzzles where you guide tokens along a path or paths until all tokens are in the correct spot to reveal a complete picture, and the next level opens up and token picture pieces need to be swapped until they are in correct place and a third puzzle appears and the picture pieces are pie shaped and switch with each other to form a complete picture. You will find fish tokens throughout the game and once again you will meet a strange dwarf that will tell you the legend of Davy Jones a little at a time as you place the tokens on the chest. Stunning visual cut scenes and nautical themed graphics wrapped up in a fantasy legend come true story, what's not to love? Enjoy! Rated 5 out of 5 by Tufty57 from Absolutely the BEST game I have played When the CE came out I bought it immediately and thoroughly enjoyed every minute of it. Playing the demo of the SE just now brought it all back. The storyline is fantastic - OK, you have to rescue the 'goodie' from the 'baddie', but this is done in a different way and, for once, I really found myself caring about the 'person' I was rescuing. I have her friend to help me. The SE retains all the possible great features of the CE: * Sound/music is excellent * Graphics are very good - I am stunned by the way the characters move especially when the praetorian fights the kraken * A jump map shows active areas (in casual) * HOSs and puzzles are varied and challenging enough without becoming frustratingly hard I missed searching for the collectibles as this makes you really focus on all the fantastic visual detail. But you do have coins to find to open Davy Jones' chest. (If you have played The Cursed Heart you will know all about that). If you go for the SE, take time to fully savour this detail. The action/atmosphere is so good that you get completely caught up and go hurtling on if not careful. You will also miss that vital area where a necessary item is hidden. The story ends satisfactorily and the CE bonus chapter is a further chapter added on. I cannot recommend it enough. If you can afford it, like collectibles and other bonus features, then get the CE. If they don't rock your boat then the SE is the ideal purchase. Rated 5 out of 5 by Jessica2204 from Wonderful I loved this game the graphics are beautiful, the story line is fanciful, and the adventure is not just hidden objects. Rated 5 out of 5 by Ethereal924 from Think twice before eating those fishsticks.... they might contain praetorian flesh. ewwwww! Outstanding game! ~ Beautiful artwork and graphics. ~ Interesting storyline with interactive characters. ~ Excellent soundtrack and sound effects ~ Helpful objective messages - Map - Notebook ~ Relevant HOS and Puzzles If you enjoy the trial. Purchase the Collector's Edition for the complete experience and extras!